So, yesterday, we were talking about early wheels and the tires that attired them. We got carried away, and so today we will continue our story. There is no doubt that the solid rubber placed on wheels in the early days was much better than wooden or medal wheels that slid along the rough roads of early 19th-century roads, but the solid tires had many flaws. The lack of traction led some drivers to actually hammer nails into the tires to prevent slippage. It needn’t be said that that caused severe damage to any roads it went over. And it would not have made for pleasant travel for the people unfortunate enough to be in the vehicles as they went along. The first patent for pneumatic – meaning air-filled – tires was given to a Scottish man, Robert William Thomson, in 1846. His leather-covered inflated rubber tire was well received, but it did not have much of an impact. Another Scot, John Boyd Dunlop, unknowingly copied Thomson, in 1887 – a full forty years later. He experimented with his son’s tricycle and saw that inflated tires moved much more quickly and smoothly than solid tires. 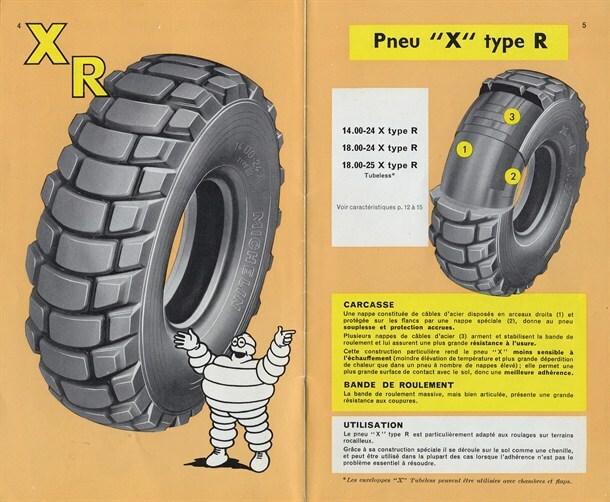 His design proved popular enough that people have used modified versions of his innovations ever since, right down to the radial tires on cars around the world today, right down to the radial tires on cars around the world today, which was developed by a Michelin researcher named Marius Mignol in 1946.